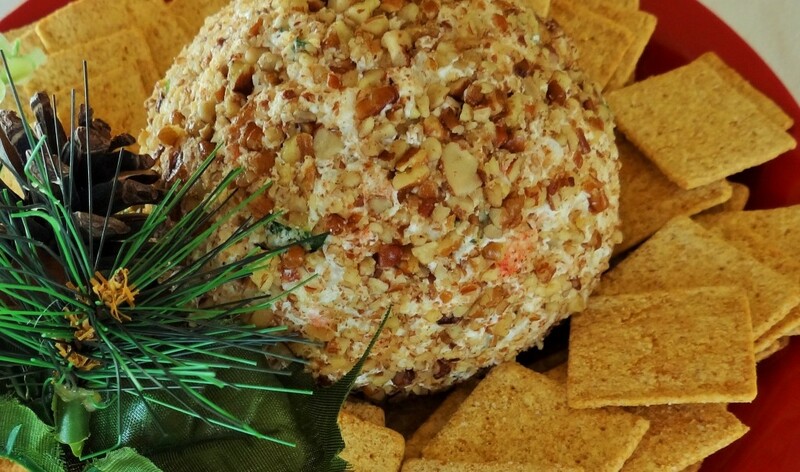 This recipe for Crab Ball is a family favorite. I should specify, it is my son Paul’s favorite. It is everyone else’s favorite too. But, Paul takes claim to the Crab Ball every Christmas. I try to make sure it is shared; I try to make it big enough so everyone gets some; I try to hide it from Paul, but I lose every time. Our family will often find Paul curled up on the couch on Christmas Eve, with his beloved Crab Ball, a box of crackers, and a smile on his face. As much as Egg Nog, Sugar Cookies and Baked Ham are a part of you all’s Christmas tradition, the stolen Crab Ball by my son Paul, is a part of mine. Christmas is not complete until he has devoured the Crab Ball. This recipe is a very simple one. You can make it ahead of time and have it ready for any party, Christmas Eve celebration or holiday get together. Enjoy. So, if you are anywhere near Paul, remember, your Crab Ball will disappear. 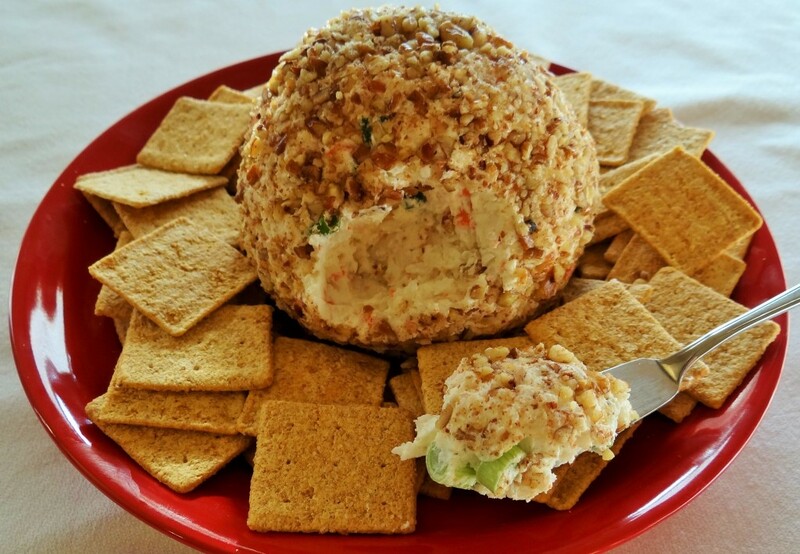 So, on the Twelfth Day of Appetizers, Christmas Eve, it is only appropriate that Dianna is bringing to you…Paul’s favorite Crab Ball! Combine cream cheese, imitation crab, green onion, garlic powder and pepper. Form into a ball. Place in a bowl and refrigerate for 30 minutes. Roll in chopped pecans. Refrigerate for at least 2 hours. Serve with crackers or pita chips.